Point: Business model innovation can take a company to the white space that lies beyond its core business. Story: Mark Johnson, chairman of Innosight, wrote Seizing the White Space to help companies understand whether they have the opportunity (or the necessity) to innovate their business model. 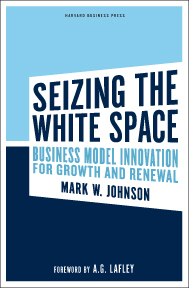 Johnson defines white space as “the range of potential activities not defined or addressed by the company’s current business model.” In Johnson’s model, white space resides beyond product extensions, lateral growth in the customer base, or incremental product innovation. Instead, he focuses on innovations that really change the way a company does business. 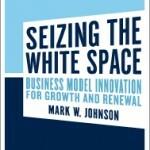 Because Johnson’s book focuses on business models, he starts with a framework for analyzing and creating business models. The framework is composed of four boxes: the customer value proposition, the profit model, the processes, and resources of the business. The profit model encompasses all the crucial financial dimensions that determine viability, including the revenue model, cost structure, target margins, and velocity (i.e., cycle times). The resources and processes boxes consist of what the business needs (people, technology, information, partnerships, etc.) and how the business delivers the CVP within the bounds of financial viability. Johnson uses this four-box definition of business models throughout the book to analyze different case examples and to illustrate a repeatable process of building new business models. Next, Johnson presents a three-chapter section on three conditions that call for new business models. The conditions occur when 1) a company wants to transform an existing market, often due to changing competition 2) a company wishes to create new markets, such as in emerging market countries 3) industry or economic discontinuities appear. Johnson refers to these three situations as white space within, white space beyond, and whites pace between, respectively. 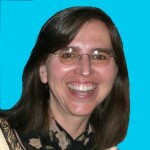 Finally, Johnson devotes a three-chapter section on the process of creating and implementing new business models. First, he delves into the process of designing a new business, emphasizing the customer value proposition. Second, he covers the implementation of a new business model and the process of incubation, acceleration, and reintegration of the new model back into the organization (if there is one). Third, Johnson addresses a crucial issue of business model innovation within existing organizations — the challenge of innovation in the face of a dominant incumbent (see also this post for related material on corporate antibodies). 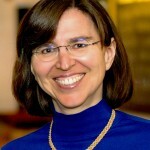 Johnson’s overall point is that business models aren’t arcane or serendipitous magic — they can be intentionally developed and implemented as a repeatable process. Throughout the book, Johnson uses dozens of interwoven case studies of varying lengths to illustrate his points. These examples include well-known management-book favorites (Amazon, iPod/iTunes, Dell, Southwest Airlines) as well as less-known examples (Lockheed-Martin, Better World, Hindustan Lever, Tata Motors, Hilti). His point in using these examples isn’t to provide new business histories or reveal previously-untold best practices but to show how a wide range of businesses fit into his framework of the four-box business model and illustrate his process of seizing the white space. Figures in the book also provide quick brainstorming fodder: 19 business model analogies, 14 levers on the customer value proposition, and 19 common dimensions of interference between incumbent and new business models. Overall, the book will be most useful for executives thinking about changing their company’s business model or expanding in radical new directions The in-depth discussions of business models can also aid entrepreneurs looking to build a business model. Finally, product innovators should consider this book if they think their innovations involve significant changes in customer value proposition, the profit formula, key resource, key processes. These changes, by definition, call for a new business model and the potential that the innovative product may need to be treated differently than the company’s previous products.